PAL InfoCom offers a full range of Video / Voice Over services and translations services with a number of languages and accents to opt for. We have a unique blend of professionals equipped with the right set of technological tools to help achieve your goals in the global marketplace. Our growing clientele relies on us to provide high quality professional Video / Voice Overs & translation for all kinds of a requirement in solutions like eLearning, Softwares, Videos, Websites etc. We have 100+ video / voice over artist for over 20+ languages. 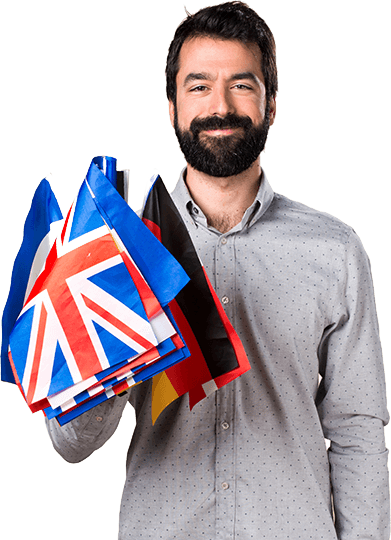 We have translators working for over 25 languages. All work is screened for quality check. We are Professional, Accurate and Fast. We provide professional training & tools all our artists. Freedom to choose Gender, Language, Accent, Age Range to deliver services.